Dr. Homam Saleh always appreciates feedback from his valued patients. To date, we’re thrilled to have collected 16 reviews with an average rating of 5 out of 5 stars. Please read what others are saying about Dr. Homam Saleh below, and as always, we would love to collect your feedback. Dr. Saleh provides his patients with the utmost care. Dr. Saleh was considerate, compassionate and professional. He and his team took great care of me while I had my visit. The best dentist I have visited in NYC. I would highly recommend him. 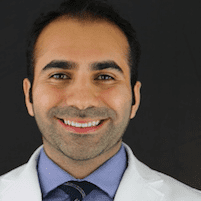 Dr. Saleh has the most calming effect, and I felt well-cared for from the moment I walked in. I’ve lived in many places and had many dentists, and Dr. Saleh and his team are truly special. I will definitely be going back them as long as I live in NYC. So warm and professional. They took great care of me! Dr. Saleh and everyone in this office is extremely kind and thorough. They all have done great work on my teeth and provide a calming environment to ensure comfort and ease whether getting a cleaning or cavity filling. Excellent service provided. Highly recommend! Dr. Saleh is a kind and patient dentist, whose skilled thoughtful care made it no surprise to hear of his expansive educational experience. He takes the time to listen to fears, create a comprehensive care plan, and walk you through the financial and medical expectations of your treatments. I've referred all of my local friends and family to Dr. Saleh and highly recommend him to anyone looking for a dentist in the FiDi area. It was as good as dentists get! Everyone was very nice. My first visit was professional, polite, courteous and painless!